Eight months after Old School by Steeple People was going to open, the thrift store is welcoming customers and their slightly-used castoffs. The thrift shop called Steeple People at the corner of Lyndale and Franklin avenues in Minneapolis closed in March 2017 to make way for an apartment complex. Business was at record levels in the year before it closed, so board members for the nonprofit affiliated with Hennepin Avenue United Methodist church began to look for a new location. Store manager Joe Partyka said the response since the opening last Sunday has been amazing. "We've had lines of people of people waiting to get in and record sales overall," he said. The new location at 1901 Nicollet Ave. in Minneapolis is about half a mile from the former location. It is about the same size as the former one but all on one level, minus the creaky steps and the leaky roof. Large windows cast lots of natural light into the store. The polished concrete floors look as nice as the ones in Target after it remodeled its Nicollet Mall store. 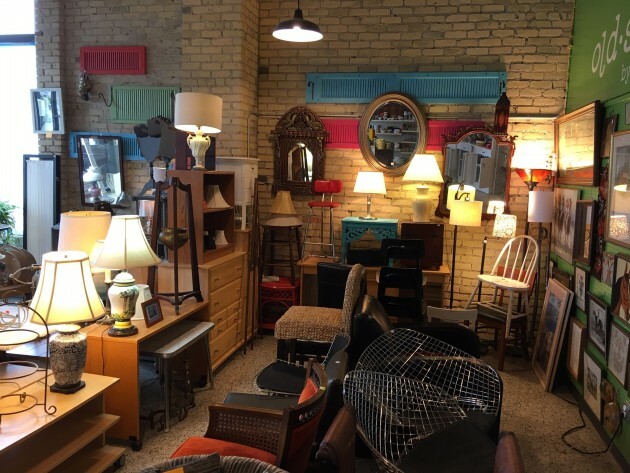 The main attraction is the nicely curated merchandise sold at prices lower than at most Twin Cities thrift shops, especially the for-profit ones. 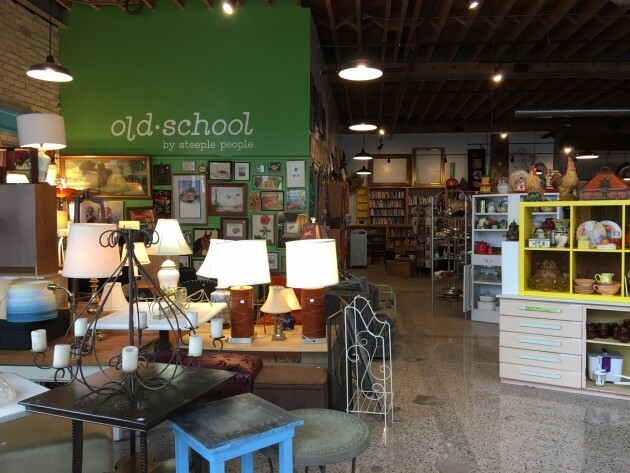 "Even after having better sales than we ever imagined, the stock is still well-stocked," said Heidi Ritter, president of the board of directors for Old School. "We have a surplus of merchandise already priced, waiting to be put out." Donations are being accepted at the store during business hours and also at Hennepin Avenue United Methodist Church parking lot on Sundays (look for the van at the back of the parking lot).from 9-11:30 a.m. The store is open noon to 6 p.m. on Saturdays and Sundays and 11 a.m. to 5 p.m. Wed-Fri. Hours may be extended as traffic patterns are determined. The building has seven free parking spots on the south side of the building along with metered parking in front. Store staff can be reached at 612-871-8305.